MORGAN EDGE: Edge is a National City real-estate mogul. In the wake of the disastrous invasion of the Daxamite forces, Edge took several opportunities to try and buy up properties for pennies on the dollar. When National City looked to honor Supergirl on Girl of Steel Day, Edge, allegedly hired mercenary Robert Dubois aka Bloodsport, to create an act of domestic terrorism in an effort to take control over property on the waterfront. While no connection can be made officially, Edge is now on Supergirl and Lena Luthor's radar as a potential threat to National City. Just what Edge is capable of is yet to be seen. 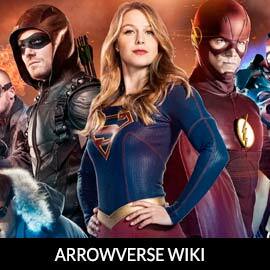 For more on Morgan Edge, check out our partners at ArrowverseWiki.